ONE YEAR Warranty from LEDMall, Ship from the US warehouse within one day of placing orders,Bulb uses < 5mW and has a Class 3R Classification, FDA approved Class II laser product for General application, pinpoints output not exceed 1mW power output, fully in conformance with 21 CFR 1040.10 and International Electrotechnical Commission (IEC) 60825-1 standards, Class II laser product, 1mW power output, great outdoor decoration lighting for lawn, house, and special events. just stake and plug in to create a year round magic, it is cutting edge laser and holographic technologies projects thousands of pinpoints of light on your home or garden with green, red in between or single, covers over 2000 square feet. replaces multiple standard landscape lights and hundreds of feet of rope lighting. uses just fraction of the energy or incandescent landscape light. in moments, you can create the most amazing light show on your block. 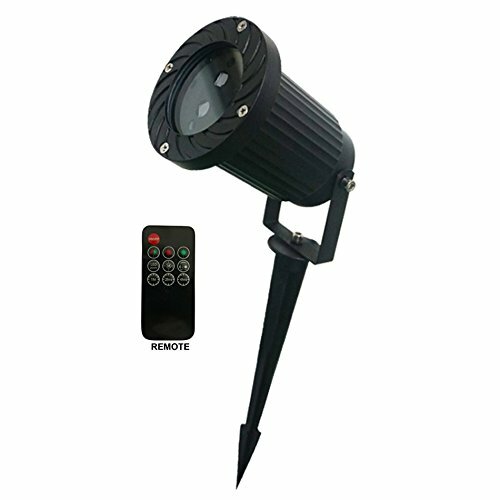 also with white LED lights can be used for path light, timer and flash mode included, light sensors included as well for light sensing on and off 100% satisfaction are guaranteed, free returns if parts are faulty! Remote control with timer setup, automatic turn on 24 hours, set and leave it. If you have any questions about this product by LedMAll®, contact us by completing and submitting the form below. If you are looking for a specif part number, please include it with your message.